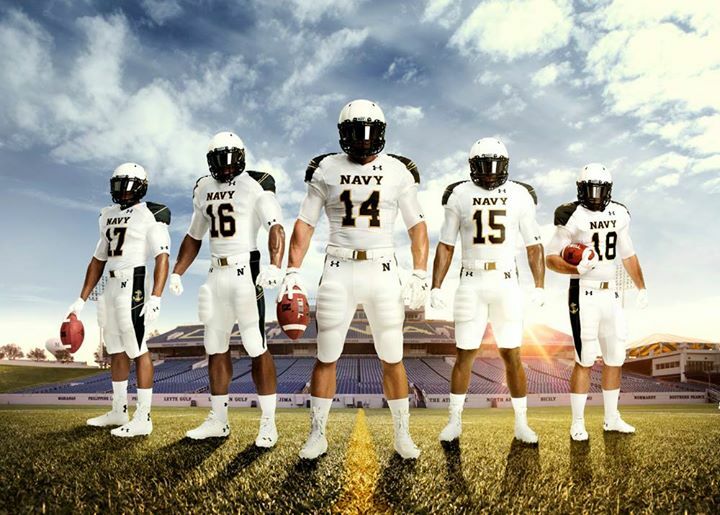 Naval Academy football opens the season Saturday versus the Ohio State Buckeyes, and for the likely summery day, they’ll rush onto the field in their summer whites. Not their short-sleeved summer whites, of course, but an Under Armour-designed athletic uniform inspired by them. 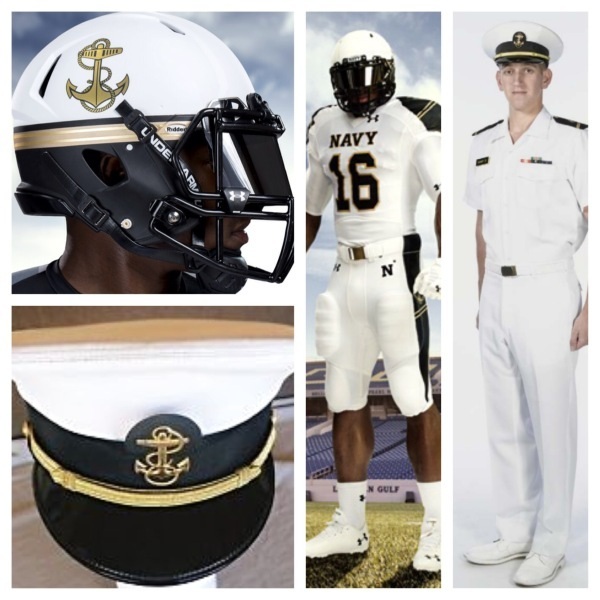 The jerseys and pants will feature “shoulder boards” with each player’s rank, a gold belt buckle, a helmet with a gold ring, and all-white cleats and socks as a nod to white uniform shoes. Team captains Noah Copeland and Parrish Gaines will wear a star and three stripes on their shoulders, representing the rank of midshipman lieutenant. This season will also feature microchipped footballs that log the ball’s usage, and verify its authenticity for collectors. A full slideshow of the uniforms is here. Let’s hope they don’t get too many grass and mud stains on their whites. That’s definitely out of regs. No red to honor our USMC brethren? I like the new uniforms. If we play on real grass white will turn green. I was stationed at the Academy in 1963 as a Dental tech. Would like to visit just one more time. Love Annapolis , Go Navy! They look like they are about to walk on the moon…. Pleahttp://www.amazon.com/Annihilation-Beach-Horrific-Marine-Battle/dp/1500182346/ref=sr_1_2?s=books&ie=UTF8&qid=1410008335&sr=1-2&keywords=james+f.+dwyerse check out my new book about the Battle for Tarawa…my fictional platoon leader was the captain of the Navy football team!! !